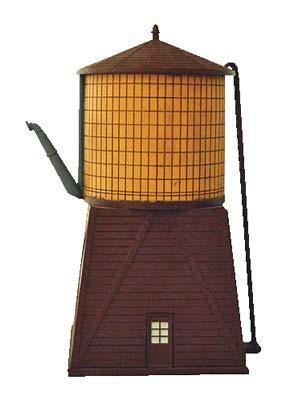 This is the N Scale IMEX Perma-Scene Built-Up Water Tower. Ideal for Dioramas and N Scale Railroads. Retail $18.99 SAVE 16% ! "nice and heavy plaster not plastic"
Fully assembled, ready for use right out of the box Realistic molded construction Brown water tower.